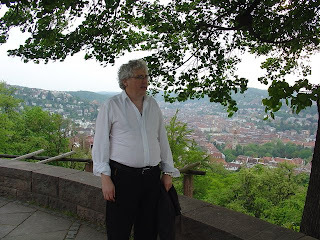 Lama Jampa Thaye travelled to Germany for the May bank holiday weekend to visit Sakya Dechen Ling in Stuttgart. On the Saturday and Sunday morning, Lama Jampa gave a detailed exposition of the key mind training text, Geshe Langri Thangpa's Eight Verses of Mind Training. On the Sunday afternoon he bestowed the initiation of White Manjushri from the lineage of Mati Panchen. The course was attended by around twenty five people and was extremely well received. This is the second time this year that Lama Jampa has visited Germany, his next European visit will be to Sakya Choling in Bulgaria at the end of this month where he will also be bestowing the initiation of White Manjushri. In addition, it has just been confirmed that the Bulgarian translation of Way of Tibetan Buddhism, Lama Jampa's comprehensive introductory work, will be launched at this time. More details will follow shortly.